Hi, I'm Sheryl with C-Line, and today we're going to talk about our 3" x 5" index card case. This colorful case keeps your index cards organized and easily accessible. Inside, you'll find 5 dividers with adhesive labels so that you can organize by subject. On the front, there's a ruled content card so you can add more detailed notes. This case is made of durable polypropylene and comes in 4 assorted colors. The snap closure keeps up to (100) 3" x 5" index cards safe and secure. Because of its compact design, it's easy to transport from place to place, making it convenient for classes, meetings, projects, and more. This 3" x 5" index card case lets you transport and organize your index cards neatly and efficiently, whether for home, school, or business. Order yours now! That's all we have for today. I'm Sheryl with C-Line. Thanks for watching. Keep index cards neat and organized with this index card case from C-Line. Available in 4 bright, assorted colors, this case fits up to (100) 3" x 5" index cards and is great for on-the-go use. 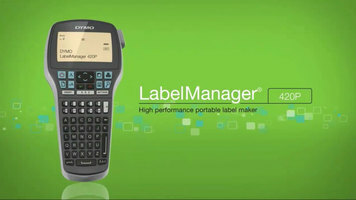 Check out the video to discover the many features and applications of the new DYMO LabelManager 420P. 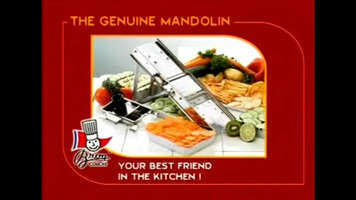 Use Bron Coucke's original mandoline to easily cut fruits and vegetables! It comes with a number of built-in settings and can easily be cleaned after your have finished creating crinkle cuts, fluted effects, wavy sticks, or round disks. 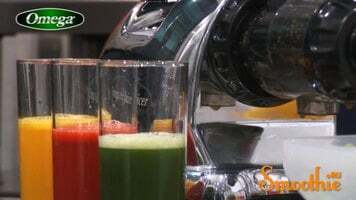 Check out this video and learn about all the capabilities of the Omega Masticating juicer! From juicing fresh fruits and veggies to extruding soy milk and pasta, the possibilities are endless!